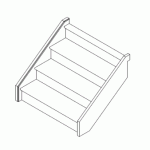 This section contains our most common staircase construction methods and the styles that will suit. Curved Staircases are one of the most labour intensive build’s requiring a complete 1:1 replica of the clients wall to be constructed in our factory. 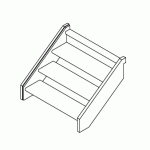 The construction of a common curved staircase requires in excess of 25+ hours of labor. 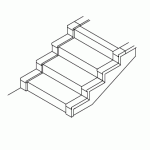 The treads are the material on which you walk, at OzStair we offer 5 basic nosing profiles which can be used to change the style of your staircase to match the surroundings. 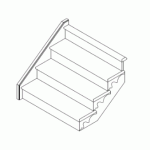 A square aris nosing is typically used with a modern style construction staircase. This detail is characterized by its sharp lines which are created by giving the edges only a 1-2mm champher providing the contemporary look that is highly sought after. 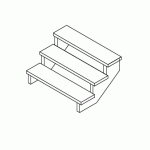 A staircase with no nosings is generally constructed using a combination of Pine and MDF this is due to the availability of MDF components and their cost effectiveness. 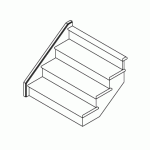 This means that when we are requested to construct a staircase for use with flooring materials we will provide a timber frame ready for you to lay the material on. e.g. 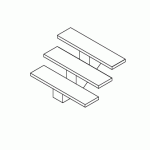 Timber strip flooring.